Historic England has acknowledged the Battlefields Trust's work in its 2017 Heritage at Risk report published in October. Four battlefields appeared on the at Risk list: Adwalton Moor (1643), Boroughbridge (1322), Newburn Ford (1640) and Braddock Down (1643). At Newburn, where the risk to the battlefield is high due to encroachment by development, Historic England highlighted the outline plan it had developed with the local authority and Battlefields Trust to address the problem. Once implemented this will reduce the threat to the battlefield. 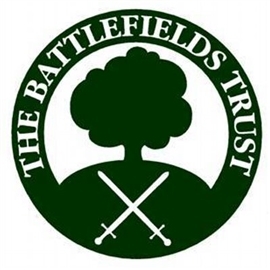 Simon Marsh, Battlefield Trust Research and Threats Coordinator, said "this is a great example of the Trust working with Historic England and the local council to help preserve our nationally important battlefields". Braddock Down was said by Historic England to be the most at risk of the remaining three sites due to ploughing which threatened battlefield archaeology the and that fact that no plans had been agreed to mitigate the problem. At Adwalton, Historic England was working with the planning authority to address the risk from development and the situation was stable. A strategy had similarly been agreed at Boroughbridge and the battlefield was stable despite development pressures. The At Risk list this year also saw First Newbury (1643) removed as the West Berkshire Local Plan had been agreed and it included no site allocations which affected the battlefield.